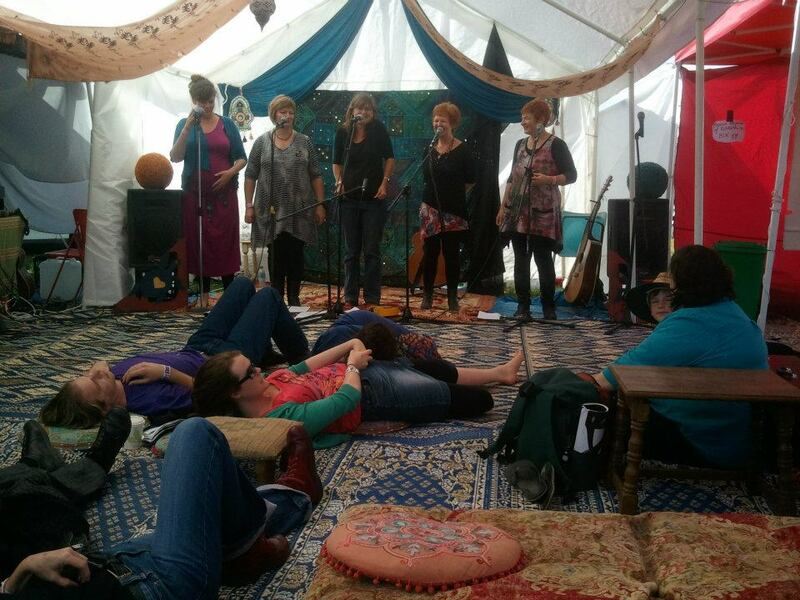 At the National Folk Festival in 2012, I was gladdened of heart and soul for many reasons to see the wonderful Salvation Jane performing together in the Tantric Turtle. Firstly, due to some rather dodgy priorities, I’d only come flying around the great hessian protuberance we named The Great Wall of China to be transported into the relaxing and mesmerising surrounds of the Tantric Turtle Cafe as they were into their first number, having plotted and planned to be in the middle of the oval well before kick-off time. Secondly, it’s always a source of joy and uplifting-ness to see/be in a decent radius of the lovely Penny Larkins. And thirdly, when I spied Penny and saw her unmistakable girth, rotundness and bump-ness, I did squeeze out a few little tears of vicarious, fecund joy.